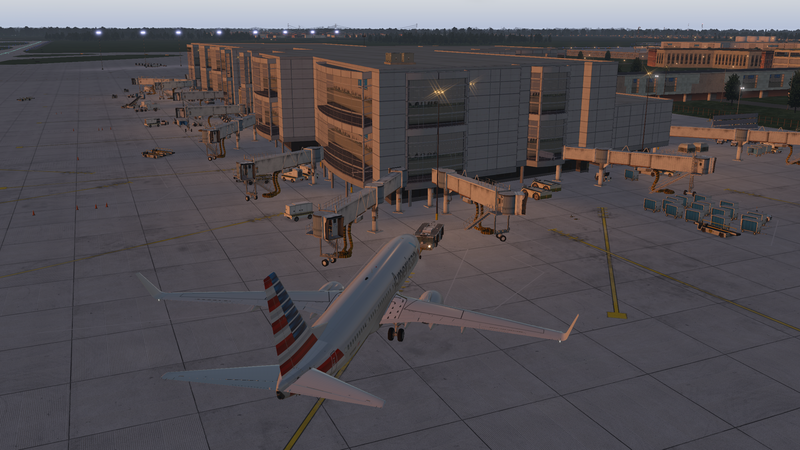 The American Airlines terminal. Good progress on the ramp, and I have the perimeter of the terminal accurate, but theres a lot of work to do on the window and height scheme. But it’s coming along. That looks great! I’ve been thinking of updating the San Diego scenery. You’ve got me motivated to do it now. I am having the hardest time getting my flight sim to work. I just switched from FSX to X-Plane on a PC platform and for some reason I just can’t get the Saitek hardware to all startup. This is really a nightmare for me and I’m realizing I can’t do it alone and am asking for help. Hi Frank. I use SPAD.neXt X-Plane edition to connect my Saitek gear with X-Plane. It’s not too expensive and works much better than the Saitek drivers.